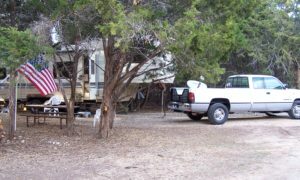 Few things spark the interest of RVers like free overnight parking. Places such as Walmart parking lots, and truck stops are some of the more well-known free overnight camping locations. It is not a well-known option yet, but RVers are gradually gaining awareness of the free parking opportunities at casinos. Some offer free RV dump stations and even RV hookups. You’ll find that most casinos will allow free overnight RV parking though they generally limit your stay. A few Casinos require that you be a customer in order to park. There are casinos that do not allow overnight parking at all, while others request that you park at their adjoining RV campground at customary nightly rates. Since casinos are generally near populated areas a drawback could be traffic sounds from nearby freeways and busy highways. If you have moral objections to gambling this may not be the RV parking opportunity for you. However, many of the RVers who overnight at casinos have no interest in gambling and never go inside. Add casino parking to your list of free RV overnighting opportunities. Stop, enjoy the food and entertainment for a couple of hours, get a good night’s rest, then head on to your next destination. A follow-up to yesterday’s Tip on Battery Maintenance: Ron R. emailed me to say that I should have recommended safety glasses when working with lead/acid batteries. Thanks Ron, you’re absolutely right.